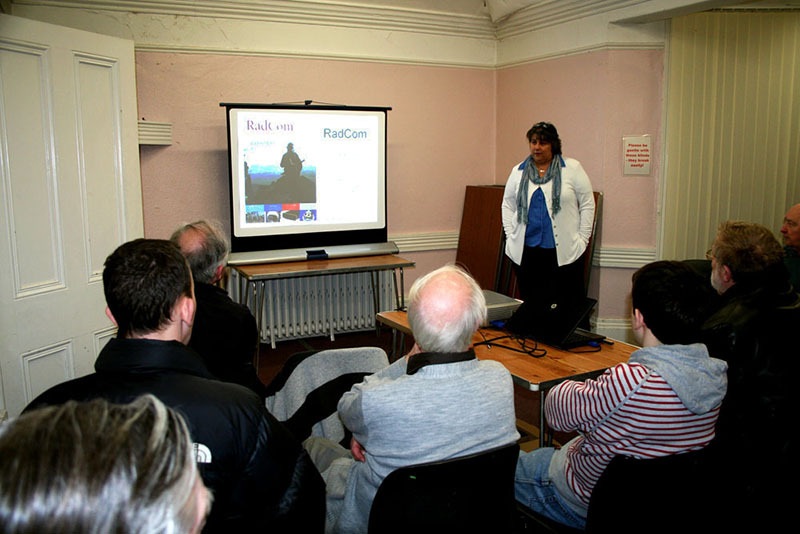 2011 – Havering & District Amateur Radio Club. More exam success this week. The club congratulates Sudekh for passing his foundation exam and Bill for passing his intermediate exam. Well done lads! 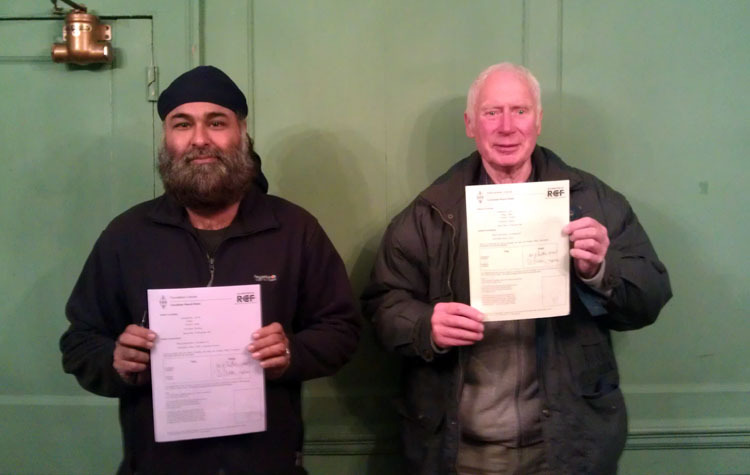 Sudekh and Bill – Well done! 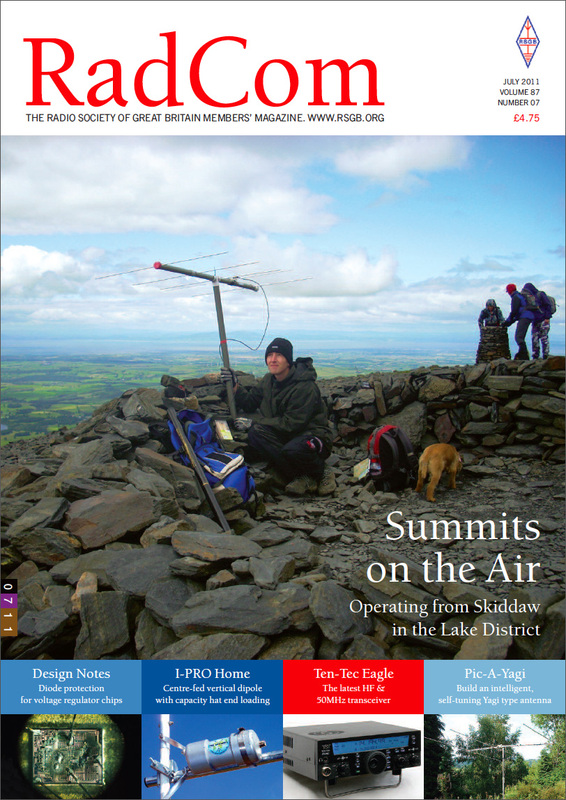 In this months RadCom, Dave M0TAZ and John M0UKD published an article about their SOTA activation of Skiddaw in the lake district (G/LD-004). The photo on the front page was taken by Dave, of John holding the 2m 5 element beam and shows the fabulous view looking north. The full article can be read on pages 50 and 51. A PDF version of the article can be read here. On 18th and 19th June 2011 Havering and District ARC (G4HRC) once again took part in the 50 MHz Trophy Cup. We used a ICOM 7400 and 300w from a Hunter Six Linear Amp into a 6 element beam. The magic band once again came alive supporting contacts into Europe and beyond. We did hear stations from the East coast USA but the propagation was just not right to make the QSO. We worked 194 contacts from 31 countries,our best DX was over 3,000 km into 5B4AIF in KM64. The club once again operated three windmills in the ‘Mills On The Air’ event this year. The club worked around 150 stations on VHF and 370 stations on HF from the three windmills. Some video is available from GB2UW & GB4MW.